Divided into eight areas: Prime Ministers, Explorers, Writers, Inventors, Pioneers, Sports, Entertainers, and Artists. 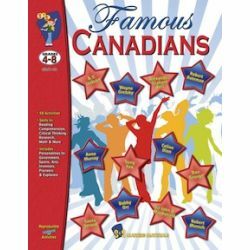 Canadian potpourri and math activities are also included. 58 activities. 102 pages.